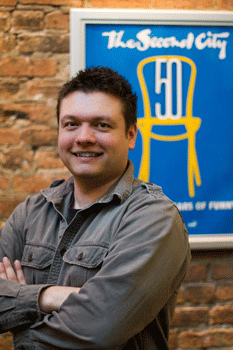 Greg Mulvey is the Lead Editor and Motion Graphics Designer for Second City Communications, the business solutions division of Chicago's world-famous improv comedy theater, The Second City (alumni include Tina Fey, Steve Carell, Stephen Colbert, John Belushi, Bill Murray, to name a few). His gig at Second City Communications is the culmination of a 20-year career in video production, which began even before his formal training at Columbia College, Chicago. Greg landed at Second City in the fall of 2010. Second City’s workflow is a traditional preproduction-production-post production process, specializing in short films that focus on corporate communications and branded content with Second City’s unique and effective comedic edge. In Greg’s part of the process experimentation is key to get just the right edit to bring out the impact of the comedy. 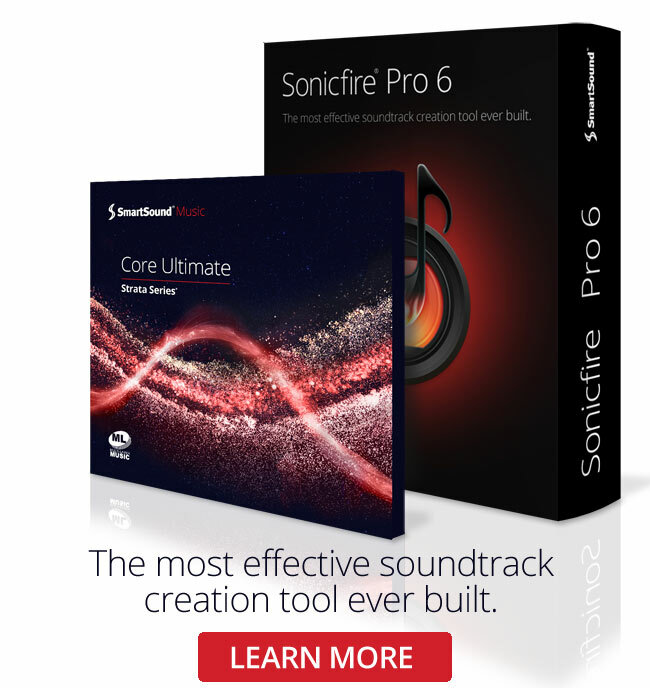 This is where SmartSound’s Sonicfire Pro comes in with its plug-in for Adobe Premiere Pro CS6 and CC. As Greg experiments to get just the right scene pacing, the Sonicfire Pro plug-in for Premiere Pro allows him to jump back and forth between the two apps as his timings and pacing change – allowing him to keep the track he already chose – while making innumerate tweaks to it using Sonicfire Pro’s powerful soundtrack tools. This allows him to stay focused on his creative process without always needing to find new tracks. View the “Scared Magician” short video.